With promises of good disease resistance, standing power, premium potential and yields to rival any ‘barn-filler’, there is much for growers to like about the pipeline of varieties from Elsoms Wheat. The unique collaboration between Lincolnshire-based Elsoms Seeds, German wheat breeders Nordsaat and Saaten Union Recherche from France has already delivered four new varieties to the AHDB Recommended List (see table) and many more are set to follow. 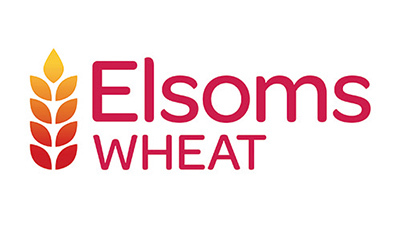 Investment in Elsoms’ wheat breeding programme has tripled since the joint venture was formed in 2013, with an aim to enter 10 new varieties into AHDB National List trials every year from 2017 onwards as it seeks to strengthen its UK market position. 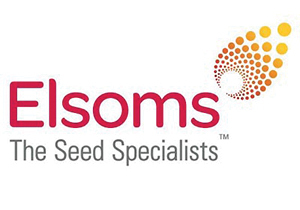 This sponsored series is brought to you by Elsoms Seeds. 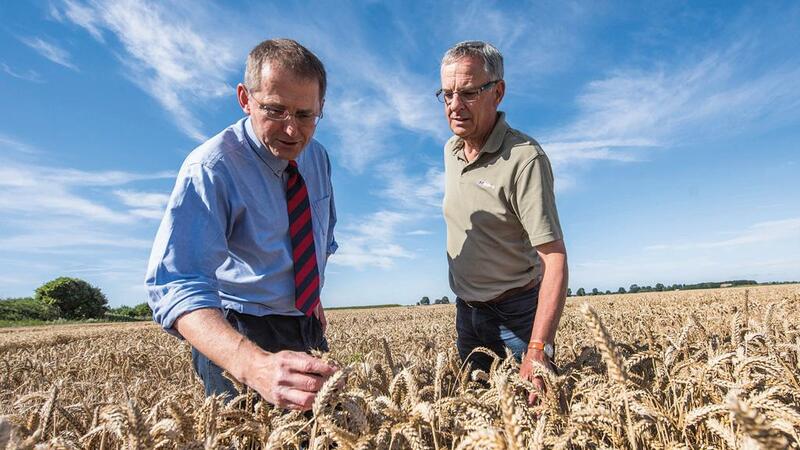 Combining genetics, skills and technology from all three partners is key to success, says Stephen Smith, who leads the UK wheat breeding programme. Elsoms provides germplasm with desirable characteristics suited to UK conditions and in return gains access to the speed and efficiency of the advanced di-haploid breeding programme provided by the impressive facilities at Saaten Union Biotec. Using this di-haploid technique allows pure homozygous wheat seed to be created in one year, in vitro, considerably less than the five to six generations required for conventional self-pollination techniques, he says. “We can get a new variety to market around two to three years quicker than with traditional breeding techniques. From the first cross to market launch typically takes seven to eight years now; at least three of which are required for official National and Recommended List trials.” The significance of the joint venture is recognised by Agrii seed technical specialist David Leaper, who says it puts Elsoms in a competitive position with multinational breeders such as RAGT, Monsanto, Limagrain and KWS. This faster delivery of new material requires an equally efficient and thorough screening process to select varieties to develop and multiply, adds Stephen. The location and soil type of the Elsoms site near Spalding is ideally suited to this task, he says. “It’s a known yellow rust hotspot that also sees a lot of septoria, which makes it very valuable for highlighting differences in varietal rankings. Stephen believes the constant evolution of disease races, notably yellow rust, makes it essential to maintain a breadth of genetic material to develop new varieties from. “We have seen how quickly races can change, with very little anyone can do to predict it. The only way to combat this is by maintaining a broad range of resistance across the breeding programme.” Greater use of genetic markers will improve future breeding processes, but he says there remains a strong need for robust field testing to ensure varieties deliver what growers require. Selecting varieties which perform well without high levels of inputs is a key priority for Lincolnshire farmer Anthony Campling, who manages 400 hectares on Holbeach Marsh. The variety performed well last year under a ‘midrange’ fungicide programme and Mr Campling believes its strong disease resistance helped achieve some cost savings over more susceptible varieties, although this has not been quantified. Straw strength and specific weight are the other notable benefits of growing Bennington, he says. Last year’s crop yielded 10t/ ha with a specific weight of 76.3kg/hl, which he describes as ‘very good for this area’. Cambridgeshire farmer Matt Smith also cites disease resistance and standing power as top priorities when selecting varieties and is more than happy with his decision to grow Bennington two years ago. About 15ha is grown for seed multiplication, out of an arable area totalling 190ha. Some wheat follows peas or potatoes in the rotation, so Matt is keen on varieties with good straw strength and a broad spectrum of disease resistance, especially to septoria, rusts and mildew. Matt acknowledges the farm’s soil, which ranges from skirt Fen peat to clay is never going to produce high yields, but was reasonably happy with the 8.5t/ha achieved last season. He too adopts a ‘broadspectrum, mid-range’ fungicide strategy and looks to make savings where possible on more resistant varieties. Elsoms Wheat is an innovative, forwardthinking wheat breeding collaboration between Nordsaat, Saaten Union Recherche and Elsoms Seeds. The organisation combines the best genetics, skills and technology from the European partners to breed wheat varieties specifically for the UK’s unique maritime climate. Our four varieties for 2017, Dunston, Bennington, Freiston and Moulton, are the first from a strong development pipeline of promising new varieties.